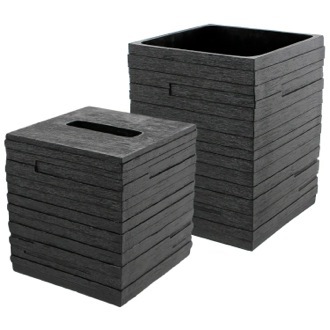 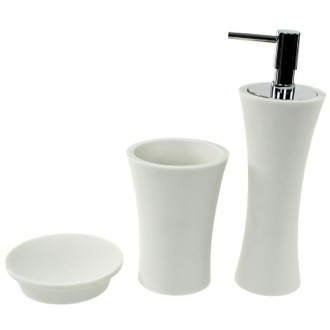 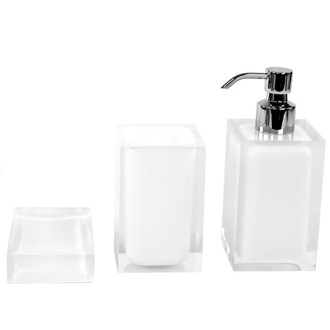 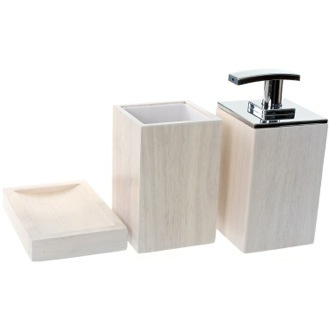 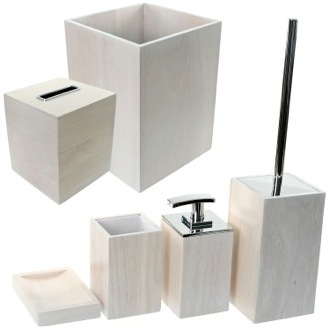 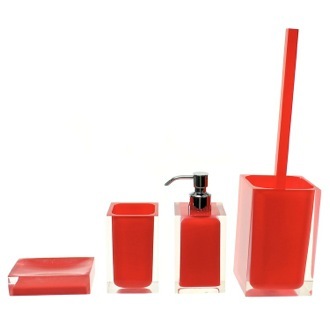 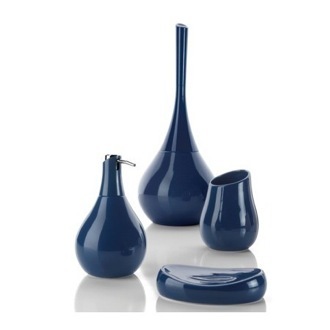 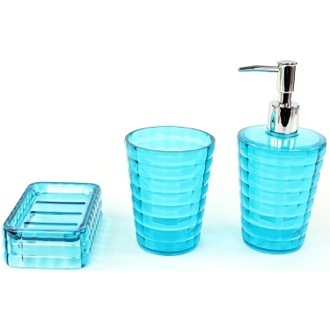 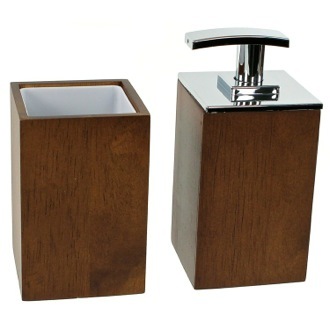 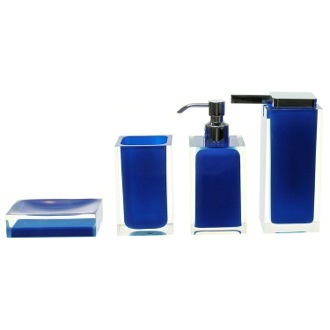 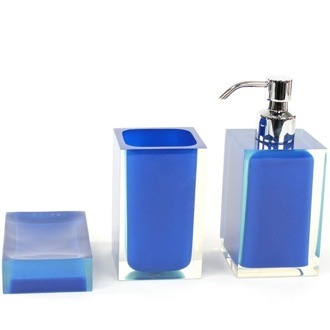 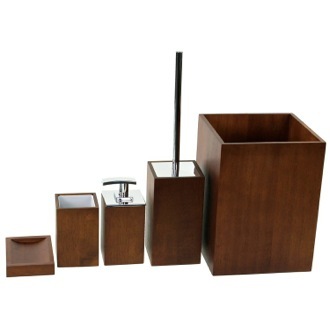 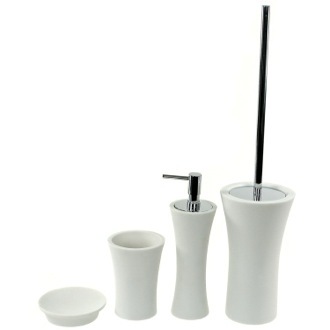 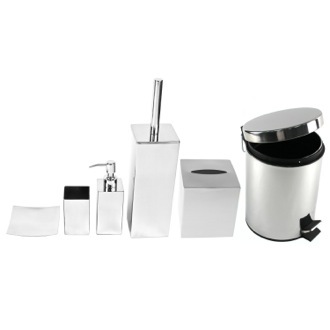 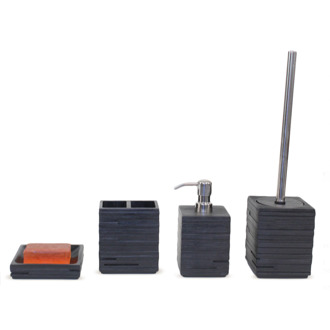 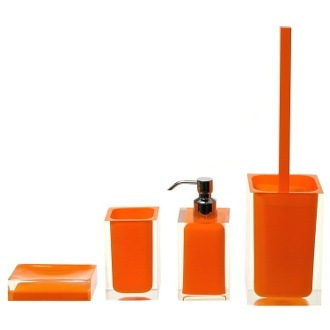 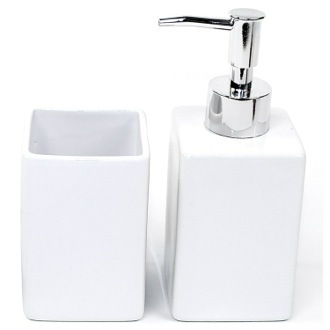 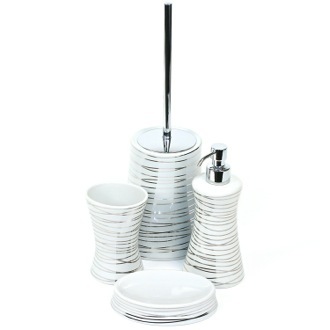 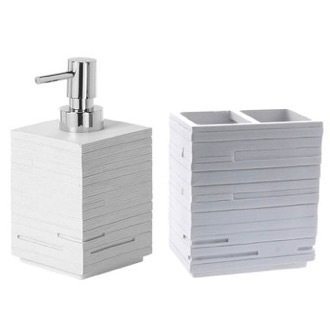 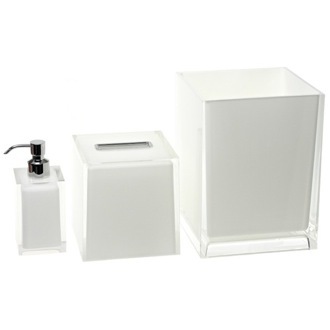 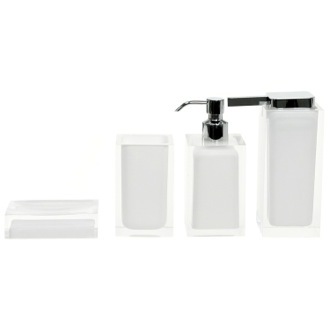 Shop our selection of bathroom accessory sets and get FREE shipping on all orders over $99! 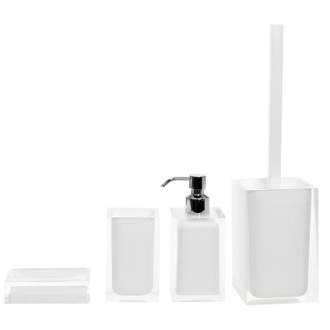 The simplest way to tie your bathroom together is to invest in a bathroom accessory set. 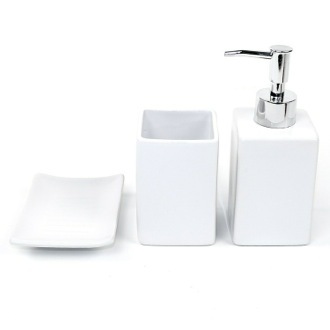 A coordinating bathroom décor set often includes perfectly matched pieces such as cups, tissue box covers, soap dispensers, soap dishes, garbage bins, and toilet brush holders. 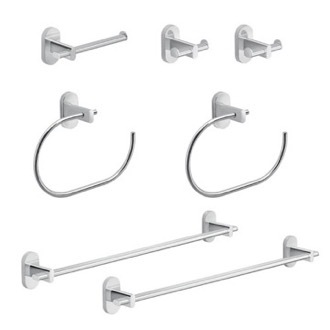 Other bathroom accent sets bring together your bathroom fixtures, with coordinating towel rods, robe hooks, and toilet paper holders. 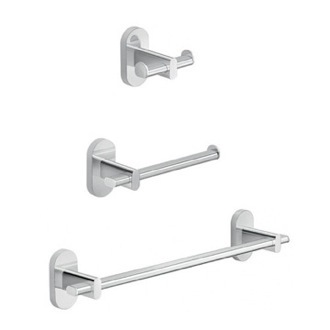 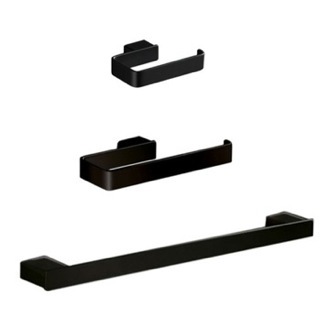 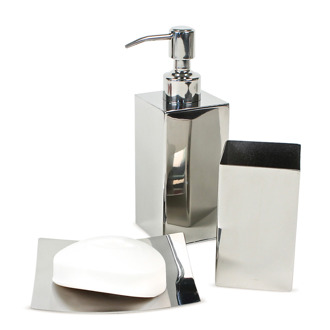 Bathroom accessory sets can match your existing hardware in a metallic finish like chrome or gold, or you can opt for one in a decorative finish like colored glass or stone to provide a unique décor accent. 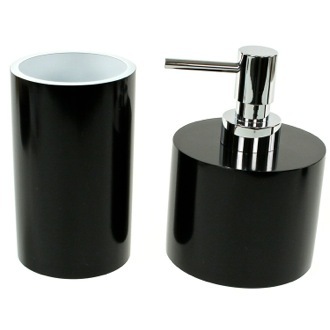 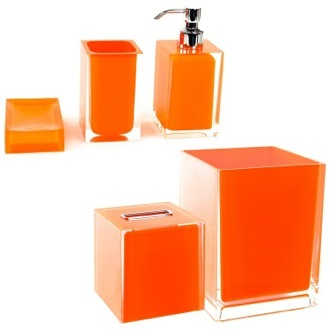 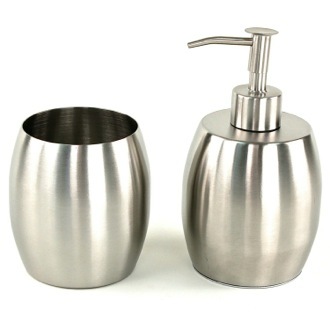 More shopping tips A designer, decorative bathroom accessory set is usually comprised of a soap dispenser, a toothbrush holder or bathroom tumbler, a soap dish, and a toilet brush. 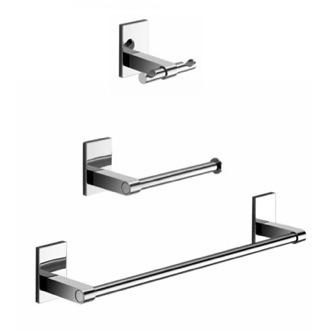 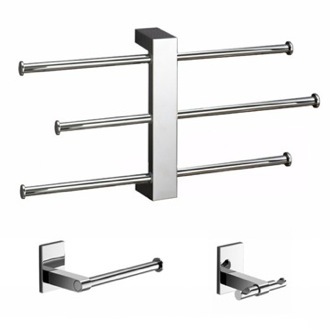 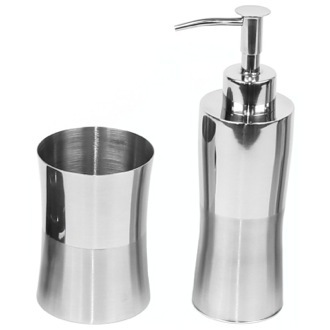 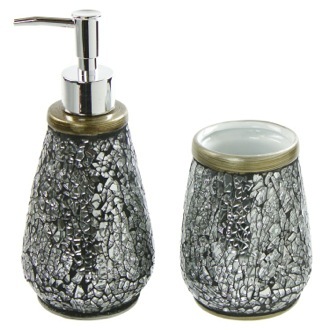 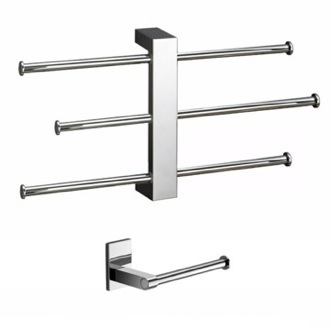 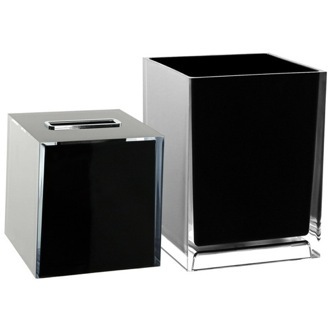 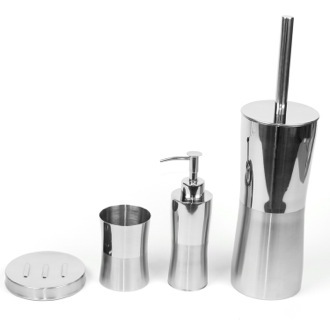 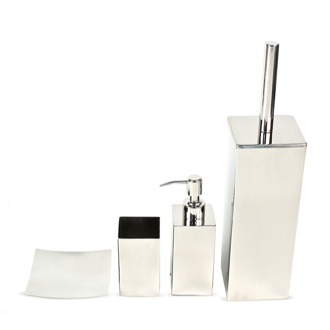 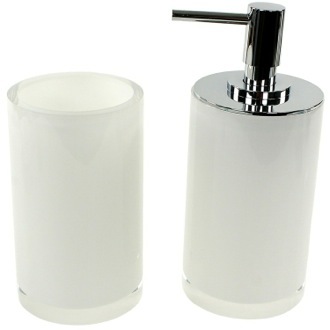 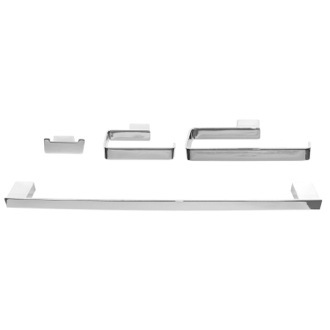 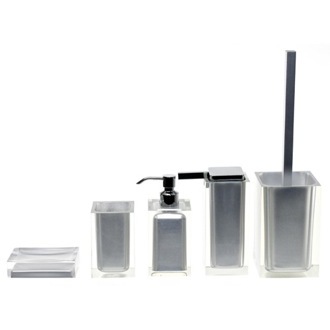 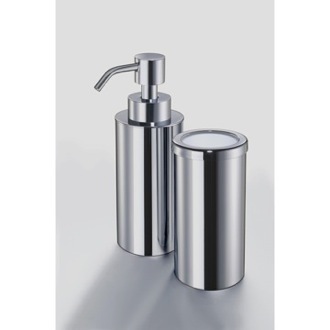 We offer a large selection of high-end, luxury bathroom accessory sets and bathroom accessories in many different finishes, including: chrome bathroom accessory sets, glass bath accessory sets, brushed nickel bathroom accessory sets. 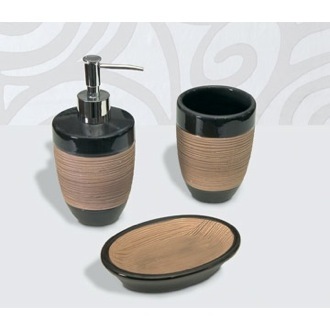 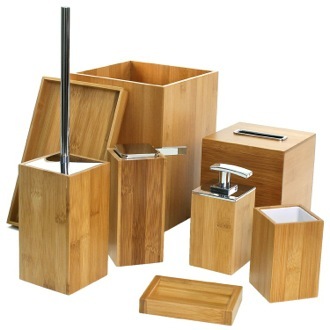 Feel free to browse our line of Gedy bathroom accessory sets and Windisch bathroom accessory sets.